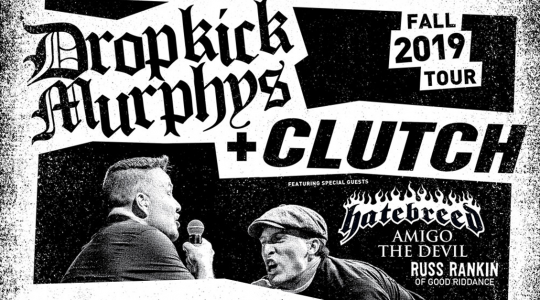 We are happy to announce the 20 YEAR ANNIVERSARY ST. PATRICK’S DAY TOUR!! Tickets go on sale this Friday (11/27/2015) at 10am local time. 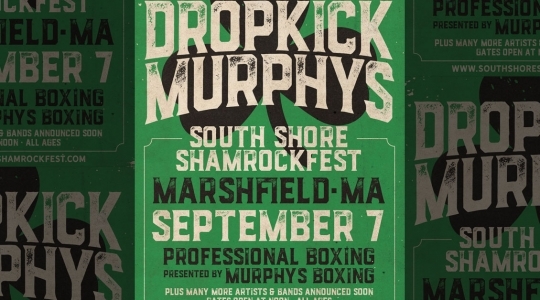 Check local promoter websites for further details, or click through dropkickmurphys.com/tour to purchase on Friday. 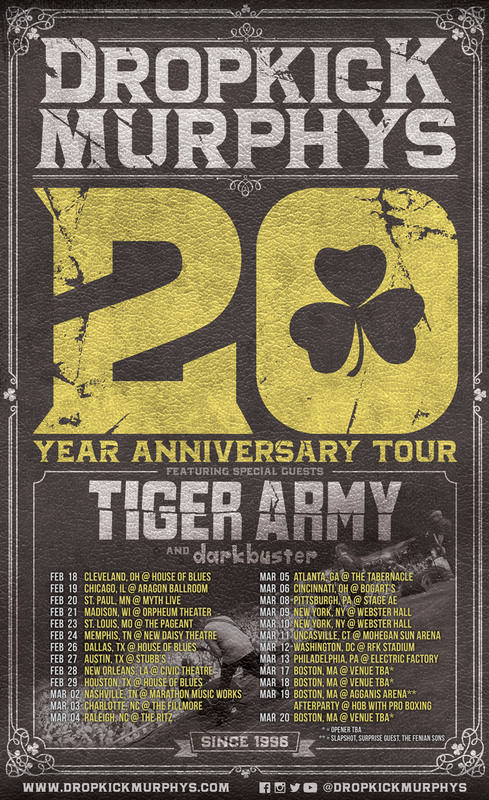 Tiger Army and Darkbuster are opening the tour with the exception of the AGGANIS ARENA show on Saturday March 19, ALL OTHER BOSTON SHOWS SUPPORT BANDS WILL BE ANNOUNCED AND ON-SALE SOON! !